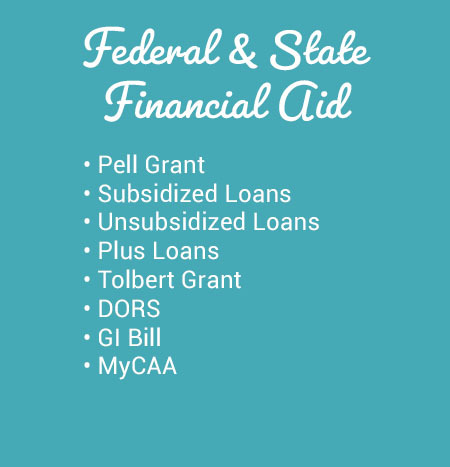 A Federal Pell Grant is offered to students with financial need. It does not have to be repaid. It is usually awarded only to undergraduate students who have not earned a bachelor’s or a professional degree. A student may not receive Federal Pell Grant funds from more than one school at a time. 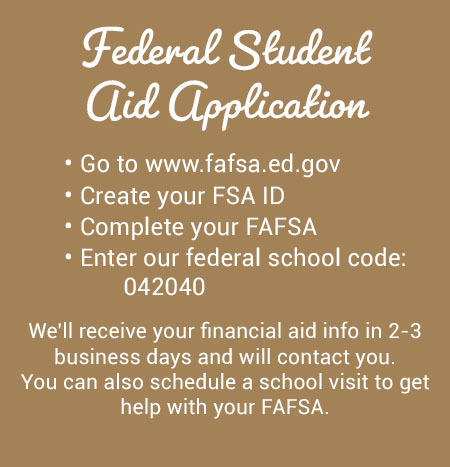 A Direct Subsidized Loan is available to undergraduate students with financial need. 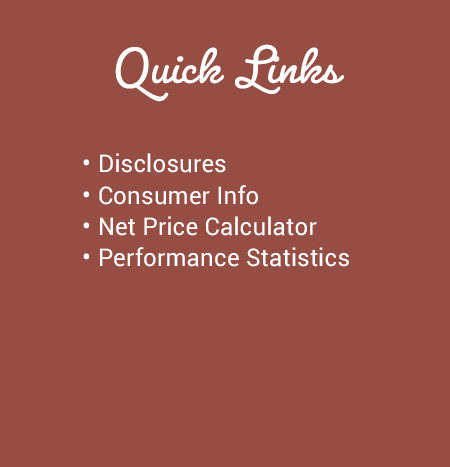 It is a low-interest loan with a fixed interest rate. A Direct Unsubsidized Loan is available to undergraduate and graduate students; there is no financial need requirement. Students are responsible for paying the interest during all periods. A Direct Parent Plus Loan is a Parent Loan for students. It enables parents with good credit history to borrow money to pay for their child’s education expenses. Our cosmetology program is approved by the Department of Veterans Affairs. Check if you are eligible. We are an official school of choice for the Military Spouse Career Advancement initiative (MyCAA.) Eligible spouses can receive up to $4,000 in financial assistance. Check if you are eligible. These awards are based on need as demonstrated by the FAFSA. Student and parents (if dependent student) must be Maryland residents. Student must be enrolled at an approved Maryland private career school for at least 18 clock hours per week. The award amount may be up to $500. A range of scholarships is available from various public and private agencies and organizations. 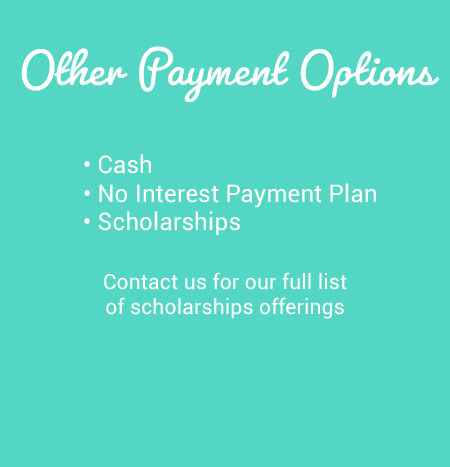 A non-exhaustive list can be provided by the Financial Aid Office.